Berlin is the city that sparked my love for European city breaks. The reason I spend every weekend possible in a different city. So, of course, it holds a special place in my stone-cold heart <3. I visited back in 2014, so this is a #throwbacktrip. I recently visited Cologne (see all of my blog posts about Germany here), so it had me thinking a lot about my first trip to Germany and just how much I love Berlin. Without further ado, here are 10 reasons why you need to go to Berlin immediately. As a massive history nerd, this is probably one of the biggest draws for me. I very nearly went to university to study history and World War II is one of my favourite eras to study. We went on an amazing walking tour of the city on our first day and seeing the spots where so many events I’d studied actually happened felt so surreal. Now, I’ve been reliably informed that Berlin has an epic nightlife scene. Given the fact I sat on a bench crying because my legs hurt, I couldn’t stand for any longer and I was on a trip with my (then) boyfriend, it’s safe to say that I didn’t see much of this nightlife! Not only did Berlin spark my love of city breaks, it also sparks my love of curry wurst. Enough said really. Architecture in Berlin is unreal. I don’t even know why I loved it so much. I remember being on our first walk through the city the evening we arrived and just falling in love with everything. From the rough and rugged, to the grand and exciting, to the modern and cool. There’s something for everyone. I am so fascinated by the East West divide (that inner history nerd is coming out again). There are subtle differences between the two sides of the city which is unlike anything I’ve ever seen before. My favourite one is the difference between the men on the zebra crossing lights! In fact, we stumbled across a multi-storey shop dedicated to the cartoon man on the East Side crossings! He’s an icon apparently! With a city filled with so much history, it’s only right that there are some good monuments to back up that history. 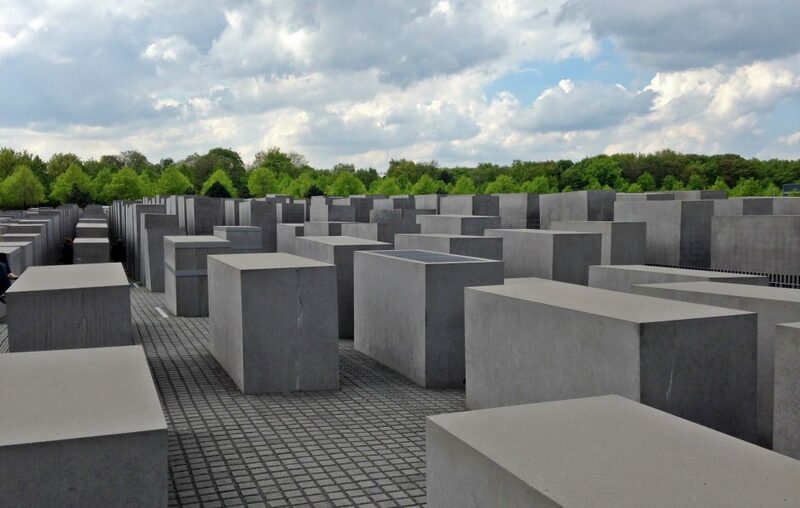 Sometimes you stumble across displays with no real indication as to what they are about (Memorial to the Murdered Jews of Europe for example) but taking a free walking tour of the city explained them all and there’s some that really got me choked up! Despite being a big and exciting city, Berlin has plenty of areas to chill out and relax. Our hotel was near Tiergarten which I loved. The park was peaceful but still filled with things to do (the Victory column and Bellevue Palace are must sees)! If you’re staying in Berlin for longer than necessary, there are plenty of things to do outside of the city – a great list of ideas can be found here. 10) Replace My Old Photos! Okay, so this might just be a reason for me. But I asked my ex-boyfriend to send me our photos from Berlin and the ones shown in this post are the only semi-decent ones he could find on his laptop. I know memories are more important than seeing a city through a camera lense. But I love photos and I’m gutted I don’t have anything to show for my trip to Berlin! 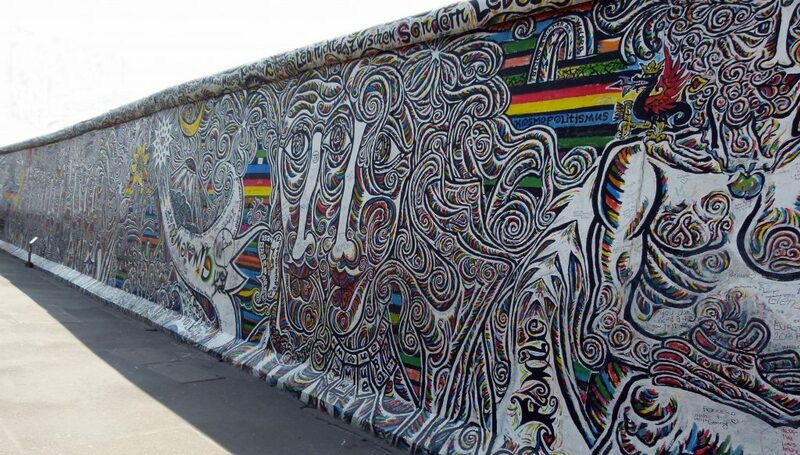 Have you ever been to Berlin, what’s your favourite thing to do? I found your blog in the comments section of hand luggage only, and love this post! Berlin has always been on my list of places to visit, and the more I read about it the more I want to go!